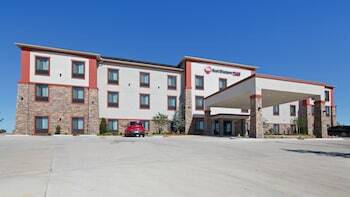 Located in Wewoka, Best Western Plus Wewoka Inn & Suites is in a rural location, within a 15-minute drive of Dean's Car Museum and Historic Train Depot. Featured amenities include complimentary wired Internet access, a 24-hour business center, and express check-in. Free self parking is available onsite.